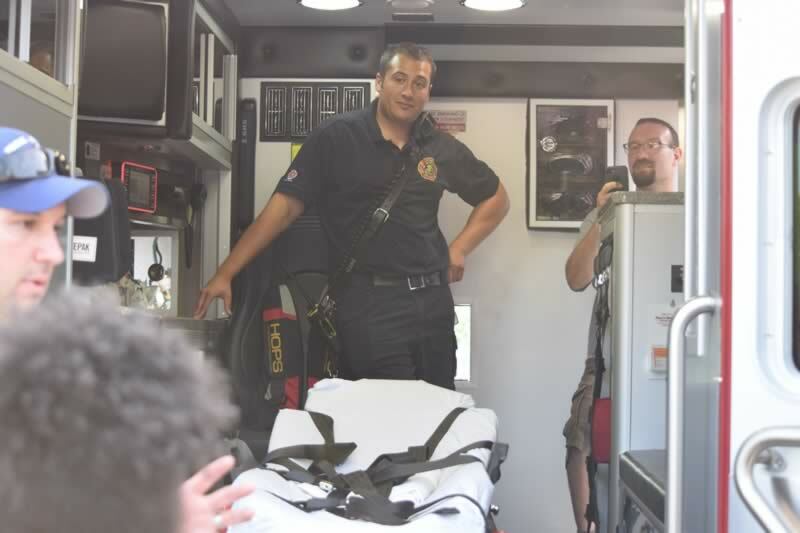 Park Forest, IL-(ENEWSPF)- The Village Manager’s report began outside Village Hall Monday as Tom Mick watched while paramedics showcased the town’s new ambulance. This was prior to the meeting of the Village Board. When a new apparatus arrives, it’s common for departments to have vehicles on-hand so board members and the public can take a look at the latest addition to the respective department. Each department contributes to a Vehicle Services Fund, “established to charge various departments the costs of maintenance, fuel and replacing vehicles. Funds are accumulated over a period of years to purchase the various departments’ vehicles. 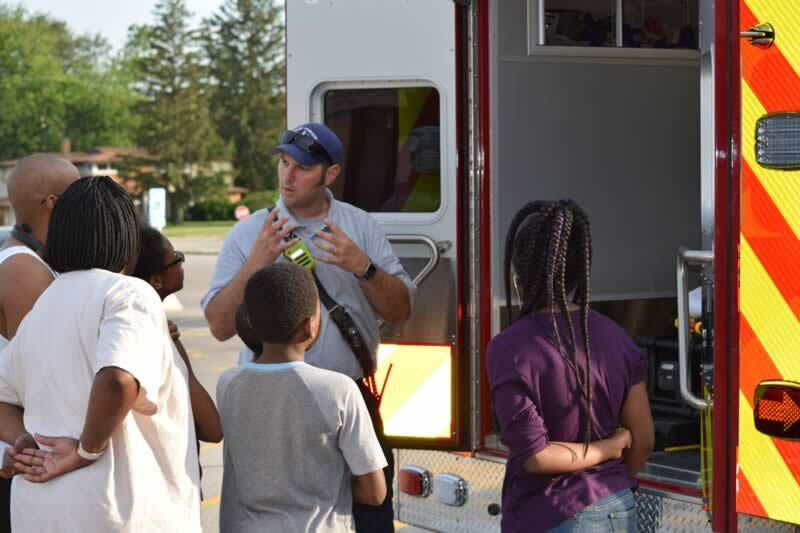 Police and Fire vehicles are used exclusively within the departments for which they are purchased,” according to the 2017-2018 Village budget. Maintaining the fund allows for necessary replacement of vehicles without incurring new debt. And the price for specialized vehicles is no small change. The new ambulance cost around $250,000. A new fire engine, when the time comes, is more than twice that. So, as time allowed, between calls for service, Firefighter/Paramedics Tom Marconi and Lieutenant Mark Cotrano brought the new vehicle to Village Hall for inspection by board members, as well as some residents and children who happened to be present. After more than 65 years in service to the community, the Park Forest Health Department will cease its clinical home health care services at the end of June. While there will be a community health coordinator service level for community health advocacy moving forward with the new fiscal year starting July 1st, it is an end of an era for Home Health Care. An Open House to celebrate the longstanding history of the Park Forest Health Department and the Home Healthcare services of Nurses Plus will take place from 1 to 3 PM this coming Wednesday, June 27th in the lobby of the Health Department. For more details, please contact the Health Department by calling 748-1118. Park Forest Foods, the new grocery store in Park Forest, has set this coming Wednesday, June 27th as the kickoff to a week-long grand opening celebration. The festivities will include a ribbon cutting at 5 PM along with music/DJ, food sampling stations, and more. Then, the business owner plans to have store specials every day starting on June 27 and running through July 4. The Main Street Nights concert series will continue this coming Wednesday evening on the Village Green in Downtown Park Forest. Things will start at 6:30 PM with the ever-popular Cold Blooded Creatures. After that, Carla Prather and Company take the stage at 7:30 PM. Main Street Nights includes attractions for the kids, several food and beverage vendors, and will continue every Wednesday evening through the early part of August. To see the full Main Street Nights lineup for the entire summer, see this article on eNews Park Forest. The Village is now recruiting for the full-time position of Recreation & Parks Maintenance Worker. Interested residents can find more details by clicking on the Employment link at the bottom of the Village web site at www.villageofparkforest.com. The deadline for applications is July 6th. The 45th season of the Park Forest Farmers’ Market is now underway. Now known as the Main Street Market is in a new location this season and is located along Main Street west of Dollar General and across from the Victory Center senior living facilities. The Market takes place every Saturday from 7 AM to Noon regardless of weather conditions. The month of June is Resident Appreciation Month. The schedule of special events includes several different things taking place. A House Music Fest will take place as part of the programming and is scheduled for 6 to 10 PM this coming Saturday, June 30th out on the Village Green. The 3rd Annual Great American Campout in Central Park was rained out this past weekend as more than 5 inches of rain fell in Park Forest last Thursday and Friday. It has been rescheduled for Friday night, July 13th to Noon on Saturday, July 14th. Residents interested in participating in this growing program can do so by finding information on the Village website or by contacting the Recreation & Parks Department by calling 748-2005. The Village would like to let all recently graduated high school students know that the recruitment period for the Village’s Live, Grow, Discover college scholarship program is now underway. Details can found on the Village website. The application deadline is July 9th. 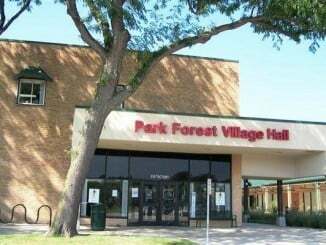 The Village of Park Forest is looking for resident input, which it is using to make informed decisions about Public Transportation, Parks and Recreation, Health and Safety, and other topics. The Village is using on on-line surveying tool call Polco. This service allows for public participation surveying. Residents who are interested in giving their feedback to the Village can find more information by visiting the Village website. From there, you can create an account and then submit survey response. There are currently several surveys posted seeking resident feedback on public transportation options such as Metra, Pace Buses and the Jolly Trolley. More information on Polco is available here.